Looking for more news from AbbVie? Social channels allow us to share stories and information about serious health challenges around the world, plus news about our company. Connect with us to get timely information about AbbVie and our areas of interest. We also welcome the opportunity to hear from you in these social channels, but remember we work in a highly-regulated industry with unique legal considerations. Before engaging, please read and adhere to our established community guidelines for each channel. 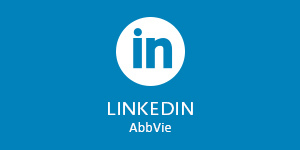 You can find the guidelines below, as well on each of AbbVie’s global social media accounts. 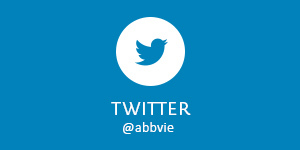 AbbVie's official global Twitter feed features healthcare and company news, and is managed by our global newsroom. AbbVie’s official US Twitter feed featuring news and updates from our U.S. business. Intended for U.S. residents only. AbbVie Facebook page shares news and updates on the company. To learn more about AbbVie Careers, visit our AbbVie Careers Facebook page. Our official LinkedIn profile provides current career opportunities and information about healthcare topics. 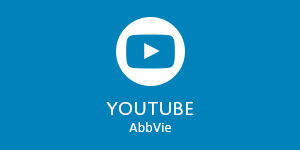 AbbVie’s YouTube channel has a range of videos that showcase our people and the work they are doing to address serious health challenges around the world. AbbVie’s page on Glassdoor shows a sneak peek of what it’s like to work at AbbVie and shares reviews from our employees and candidates. 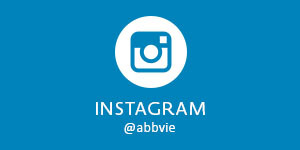 AbbVie Instagram page celebrates the unique culture of AbbVie and the lives we touch through our philanthropic and volunteer efforts.